As I searched the internet seeking Christian books for my son to read, I found it very difficult to find Christian fiction for young boys. My mission was simple, find a book that was clean, had action and adventure, and reinforced our Biblical beliefs. We read all that we could, but soon we ran out of books. The Reverend Officer is a story I wrote as a way to help my son stay engaged as he grew stronger in his reading ability. In the CADET, Mario (Rev) is introduced to the idea of law enforcement as a career path. Join him has he seeks to find God's will for his life while building Christian friendships and seeking Christian mentors. He does this while also helping Chief Schnittker find a city drug dealer that is causing teens across their city to die from opioid overdoses. In this story you will see examples of faith, healing and redemption through the eyes of a teen boy. 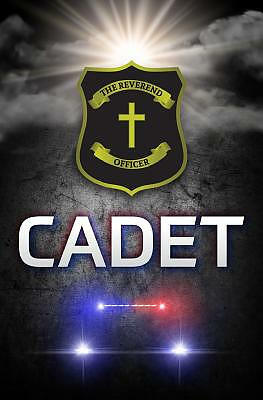 The Reverend Officer: Cadet by Saccenti, Thomas M. was published by National Association of Campus Safety Adminis in March 2018. The ISBN for The Reverend Officer: Cadet is 9780692093665. Be the first to review The Reverend Officer: Cadet! Got a question? No problem! Just click here to ask us about The Reverend Officer: Cadet. Author / Artist Saccenti, Thomas M.